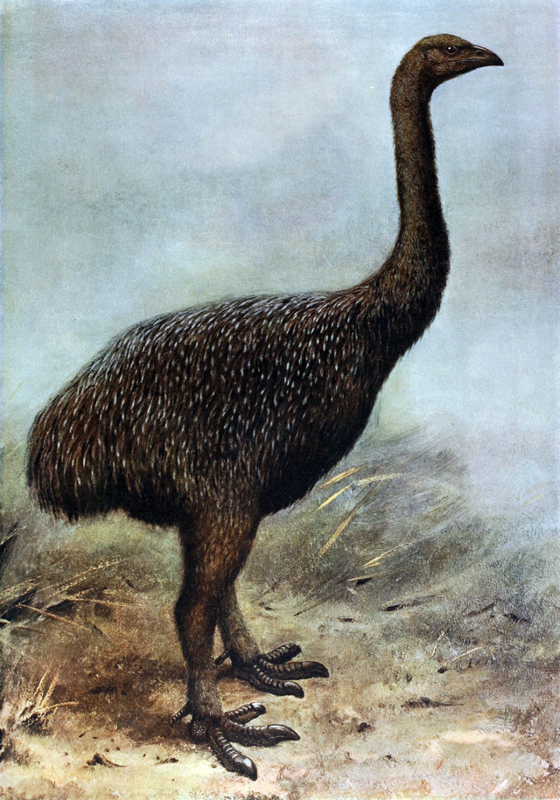 Reconstruction of Upland Moa by George Edward Lodge in 1907. I've been busily working away on the New Zealand section of my website. I've just written a page on the wonderful, sadly extinct Moa - of which there were 17 species. There is now also a fully-fledged nine page section on Stewart Island and a photographic journey through the as-near-to-pristine-as-nature-gets beauty of Ulva Island. Also in this section the beginnings of a page with some videos on the controversial air-dropping of the pesticide 1080 to kill possum, stoat, rats, deer and feral cats and unfortunately anything that gets in the way.